This Easter we will be kicking off our new Healthy Walk Club for Kids inspired by our very own local young person, Brooke Smith, 10. The club to be held on Sundays will encourage local children and parents to explore our area, to learn about our history and to make new friends whilst keeping fit and having fun. Sunday mornings will never be the same again. After the walk, everyone is invited to enjoy afternoon tea and fun activities for all the family to get involved with. 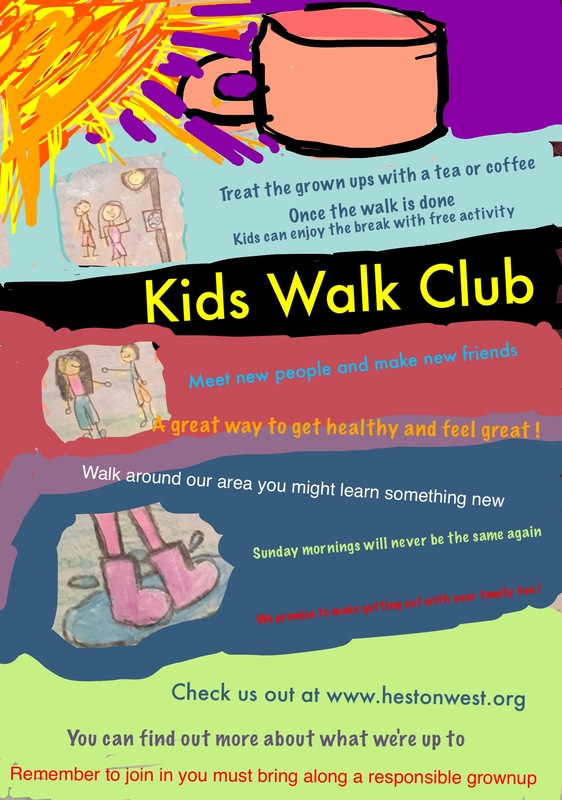 Brooke Smith (our lead for the walk club) has designed 3 fabulous flyers to help promote the club to the community. Only 1 of these flyers can be printed professionally into a banner which will be displayed across the Heston West area. We would like our community to decide which flyer they like best (we know all of them are brilliant). Vote for your favourite (below) and we look forward to revealing the winning flyer soon for all to enjoy!